This na Warri pidgin English news summary of some tori and aproko when happen for naija and beyond as e affect some headward too. Abeg make I hail una as usual “Issa waffi people.and Naija how una dey and how the shows and hope say area legit scarra. Hope the weda nor too cold sha cos as e dey be now, Warri cold na highest because the rainfall done turn every day but If e too much buy robb, put am for ur nose by the time you sneeze two times you go dey well. Or beg any old maale or paale for snuff that one go well too so that una go fit read this Warri Pidgin News. I just say make I use langua update una on things wen dey xup for Naija and beyond with correct Warri pidgin English and yowa like aboki dem dey talk Issa gist Issa Warri pidgin English news. 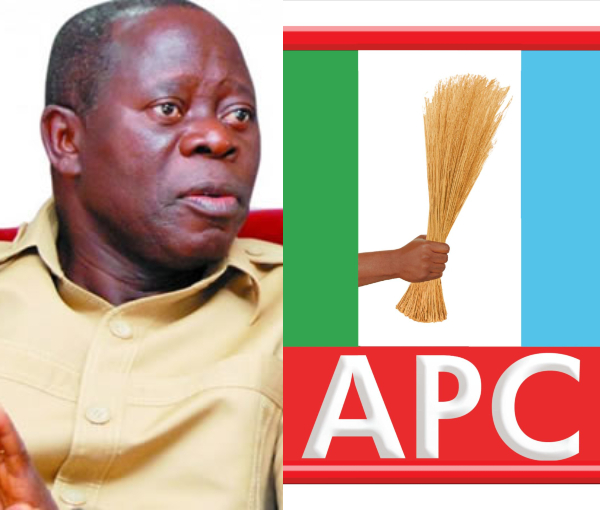 Adams Oshiomele wen dem call Osho baba wen be the former labour chairman and former Governor of Edo State don turn ogbologbo for APC party naim be the APC national chairman. Na four people suppose to contest but the other three drop base on say na Headward himself we dey hear say na clear road for Adams. Na the comrade governor go dey run the affairs of the party. Good one sha. The picture we use nor join one kind sha but if you look am well e folo die becos una na no why una dey laff. Na Warri pidgin English news Studios dey run this news in Original Warri Pidgin English. 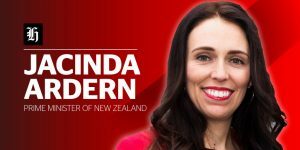 New Zealand Prime Minister Jacinda Ardern wen be the second woman to born for office don officially introduce her daughter to the world. Prime minister Headward Work she dey do too. Headward na dem dey call presido.The Headward get teeth o, Hope she nor relate to suarez. Na joke we dey joke o because Warri pidgin Englishh na to make you laff o.
Twenty four fresh cases of cholera don dey for Adamawa State. So make I advice una wella.. If u wan go the state u must travel with ur red and yellow capsule or flagil and u nor go drink water throughout ur stay because if you run am without safety precautions na OYO for your own and una cucuma know say headward buhari nor too send o. This one na joke o, Headward PMB na sending master because we nor know where this Warri pidgin English news go reach. Zimbabwe HeadWard (president) Emerson Mnangagwa survive assasination ooo. This headward dey come down from stage during one rally wen bomb explode kpoooof. Nothing do am but two of e bodyguard mud. Them done kpeme on national duty, eya.. na so dem take fall. Warri pidgin English sha, na highest. Kpoof na explode, Mud na die o, even fall too na still kpeme, sorry die. 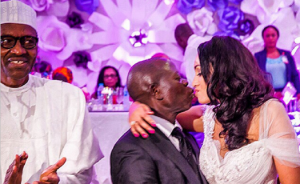 Omo, The Headward Face strong o, shuo, Nor be so Headward face dey be for Europe na!!! so tay the editor of Warri pidgin English news dey shock sef. One Reverend Father for kenya Paul Ogola don dey suspended for one year because e go use rap preach to for im congregation..The guy dey try use the rap preach give youths.The intentions make sense but na wrong packaging. Hopefully after the one year Father go rebrand, repackage and know how to run those matters. This na still Warri pidgin English news o. U nor go know am wen Fada enter rap mode. Finally en women for Saudi don dey pull out ride. The women dey flex their four legs like no man’s business. Their father, sorry their Dad. The country ban women from driving since before dem born me (and I don old small too).. But e be like say sense don enter their kidney so women fit dey drive now. And for Warri, women dey pursue men comot for road with their yeye wicked and selfish drivin because woman nor go ever give you chance make u pass if you dey blow based on corner corner. The can strong Warri pidgin English dey speak go make you go hug transformer. My people make I yarn una one small something make e for nor loss based on say I dey enjoy wella to write in warri pidgin English. Make we dey pray always o for the GRACE of JAH. Hardwork gud oo but na grace dey elevate person. If na only hardwork dey make pepper rest then lagbu work (bricklayers, mason, laborers truck pushers, wheel barrow rowers, etc) for be millionaires since since na.